By limiting human interaction, the genius and the highly intelligent people choose to be in their own caves. They do not go through the turmoil of pleasing other people and are thus happier living their own life. This gives them more time to spend and to work on themselves. The time that they get works as a blessing for them as it makes them even better than before. They are more focused on their life goals. They also remain happier because of the fact that they are unaffected by other people’s judgment of them. Of course, when you are around other people and when you socialize, you are bound to get affected by what other people think and assume about you; but not the highly intelligent ones. This happens because they maintain the ideal distance from other people that helps them to be unaffected by what other people think. Moreover, the highly intelligent people have mastered the art of solitude. 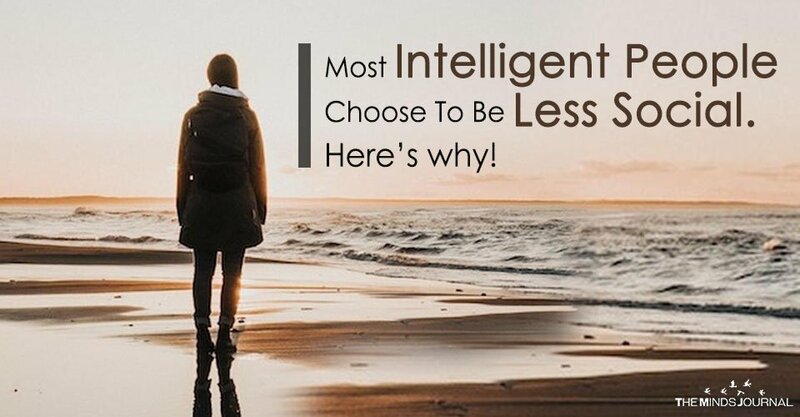 While most of us find it extremely hard to live alone and our lives go haywire as soon as we lose the precious internet connection, intelligent people, on the other hand, can manage on their own. They actually prefer a life without all the things that they consider as unnecessary distractions. So, the next time someone asks you why do you deny social engagement and people tell you that you will die alone with your cats, don’t hesitate to tell them that your life is richer and fuller than the petty lives that they are leading. 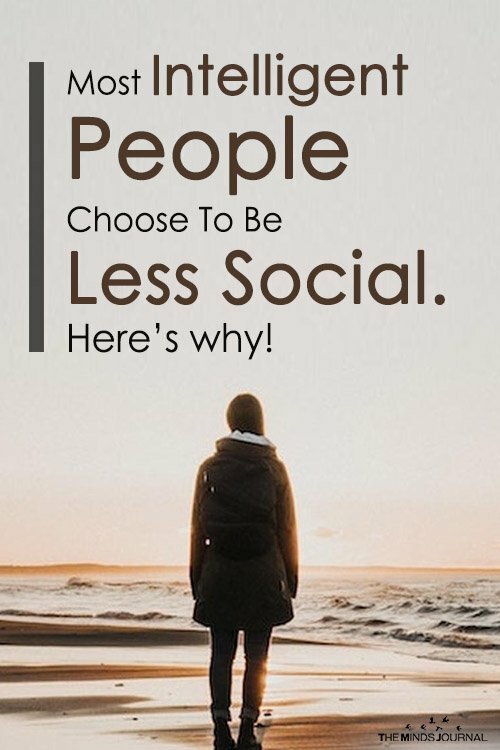 Don’t you ever be shy of choosing your happiness over social engagements! EVER!